Connect with hot prospects from wherever you are and close deals without breaking a sweat. Get notified every time you have a visitor on your website or mobile app. With visitor routing, set notifications for your high value leads and customers. Keep up with your traffic and leads, regardless of where you are. Catch your most important prospects, connect with them instantly, and close deals on the go, all from your smartphone. Keep up with your traffic and leads, regardless of location. Catch your most important prospects, connect with them instantly, and close deals on the go, all from your smartphone. With audio calls, you can get even more personal with your customers. You can also receive voice messages when you're offline. With audio calls, you can get even more personal with your customers. Visitors can leave voice notes when their calls go unattended, for operators to reply later. 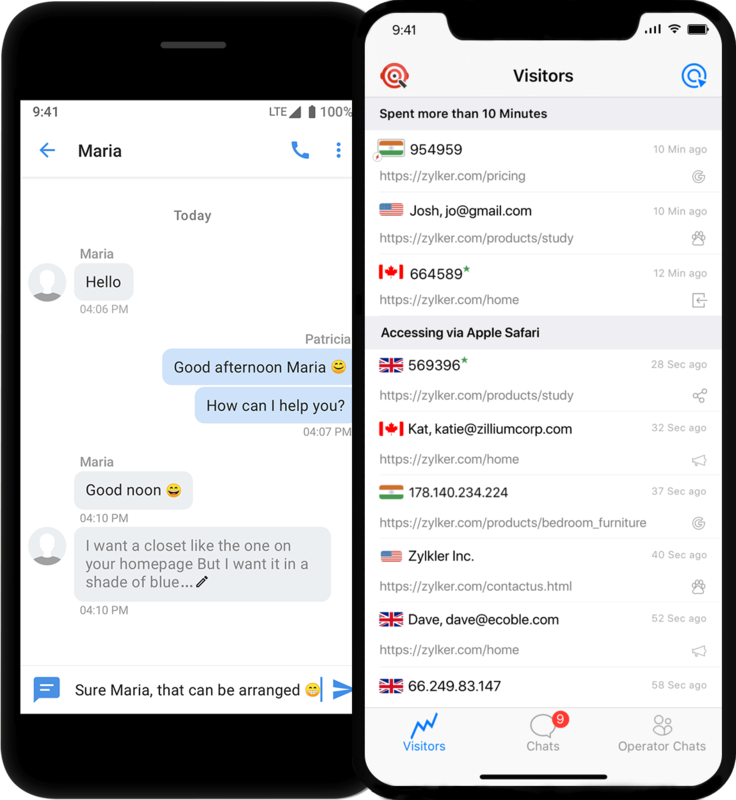 Get notified of all incoming chats and calls, and never again worry about missing out on important opportunities. With real-time translation, you can always converse in the native language of your prospects and customers. You have 30 seconds before your prospect loses their patience. Use one-tap canned responses to make sure you never disappoint them. Create group chats with other operators to discuss, follow-up and collaborate on sales and support operations. You're one tap away from converting on the go.